The Archontophoenix cunninghamia or better known as the elegant palm/cabbage palm is found near coastal/rain forest areas and is distributed in central Eastern Queensland, South Eastern New South Whales. 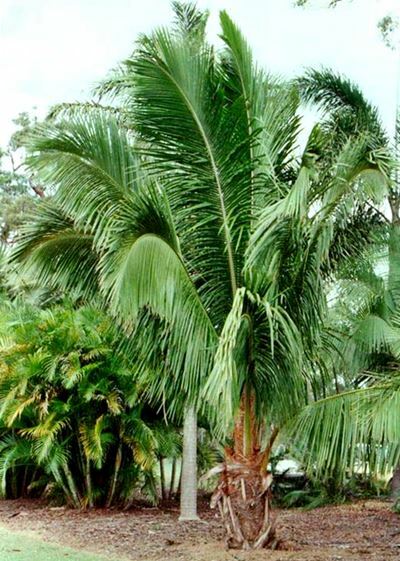 The Seaforthia palm has a solitary trunk and can grow 20-25m tall, enlarged at the base with a light grey or almost white colour. 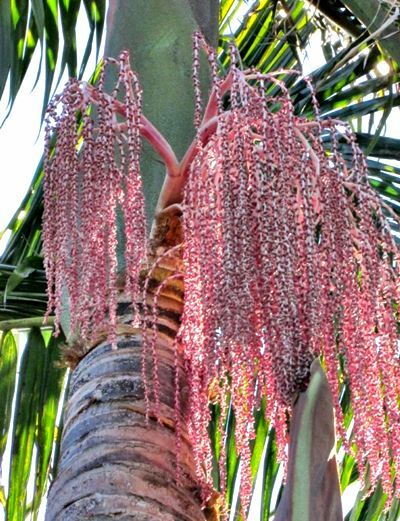 This elegant palm has arching pinnate leaflets which are green on both surfaces and also has a green to purplish-brown crownshaft. 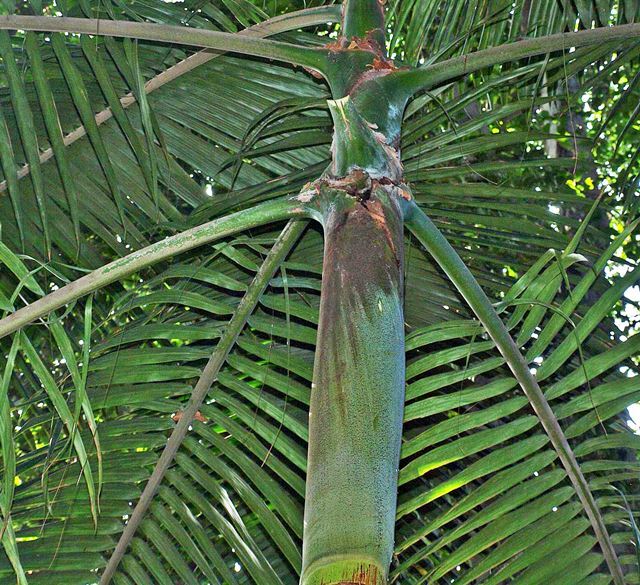 The crown of the bungalow palm when spreaded, consists out of about 9-12 leaves – usually drooping and taper to a point. The Archontophoenix cunninghamia is grown as an ornamental palm with beautiful lavender to creamy yellow or white flowers, suitable for tropical and subtropical areas.